Reggie Rivers (born February 22, 1968 in Dayton, Ohio) is a professional broadcaster and motivational speaker working in Denver, Colorado. 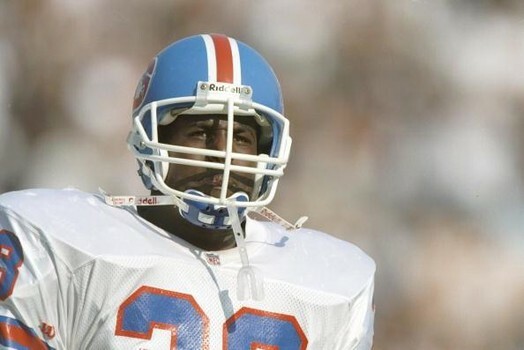 From 1991 to 1996, Rivers played running back for the Denver Broncos. Rivers played in every Broncos game during that span, scoring 8 touchdowns. 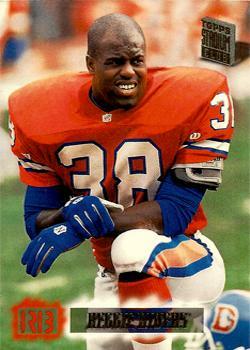 In 1993, Rivers was named the Denver Broncos' special teams Player of the Year. He was a 2-time Denver Broncos NFL Man of the Year. While still a player, Rivers began working for KOA radio; he also wrote a sports column in the Rocky Mountain News. After retiring from football, Rivers moved to broadcasting full time, hosting his own talk show on KHOW from 1997-2002. Rivers' KHOW show focused more on topical issues than sports, as did his Rocky Mountain News column during the same period (later, Rivers switched to The Denver Post). Since 2006, Rivers has served as KCNC-TV's weekend sports anchor. Rivers has also written five books: The Vance: The Beginning & The End (1994) - an as-told-to autobiography of former Broncos wide receiver Vance Johnson. Power Shift (2000) - a novel about a sports reporter and a player who hate each other. 4th & Fixed (2004) - a novel about a crime family fixing NFL games. My Wife's Boyfriend and Our Feud with the Highlands Ranch Homeowners Association (2006)- a comedic novel about a marriage falling apart in the suburbs. The Colony: A Political Tale (2009) - an allegory about foreign policy told through two colonies of ants.